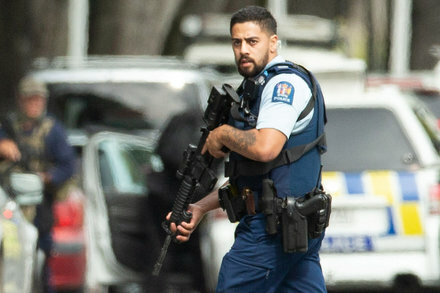 The New Zealand shooting 2019 - a plot? What do you make of the New Zealand shooting, Daniel? Ok, new developements in Austria of all places. Right-wing, yet still pro-(((liberal democracy))) Identitarian movement got busted for … WTF… for receiving a donation years ago from the shooter. Now stick with me, lets put it together. Receipient’ organization of the shooter’s donation gets busted AS being BLUE-PRINTED in the manifesto. Mass media and gov act according to plot. Tell me Christchurch hadn’t been covert action. Given that you appear to think every mass shooting is a government false flag conspiracy, this interpretation comes as no surprise. Would you elaborate why a supposedly anti-immigrant anti-muslim shooter would be hanging around in Pakistan blessing their islamic government? I don’t know. The NYT says he was a troll. The fact is he livestreamed himself killing these people and the video is all over the net. He left a manifesto explaining his reasons. If you’re not convinced by that, nothing will ever convince you. A picture is emerging of a man driven by white nationalism and a desire to drive cultural, political and racial wedges between people across the globe. The NYT says he was a troll. …a white nationalist “trolling” the Pakis, North Koreans and mosques. 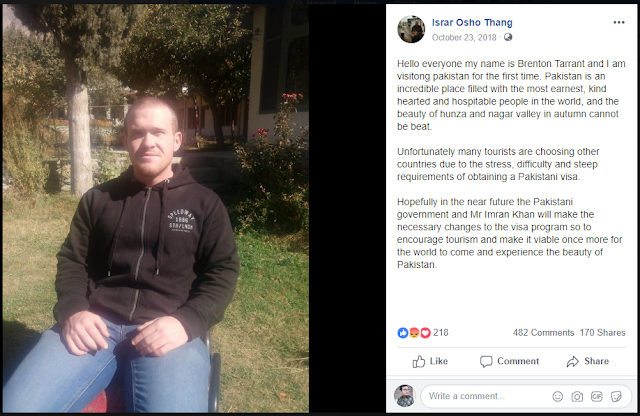 Considering possible encarcellation during his visits to Pakistan and North Korea for too much quote-unquote “die-hard trolling” and also in New Zealand for extreme “islamic peace-truck driving”, this guy even out-trolled 4chan, bbad and 8chan!!! How do you explain the video of him doing this, Daniel?